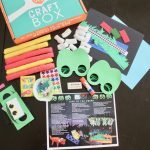 We Craft Box January 2019 Kids Subscription Review + Exclusive Coupon! 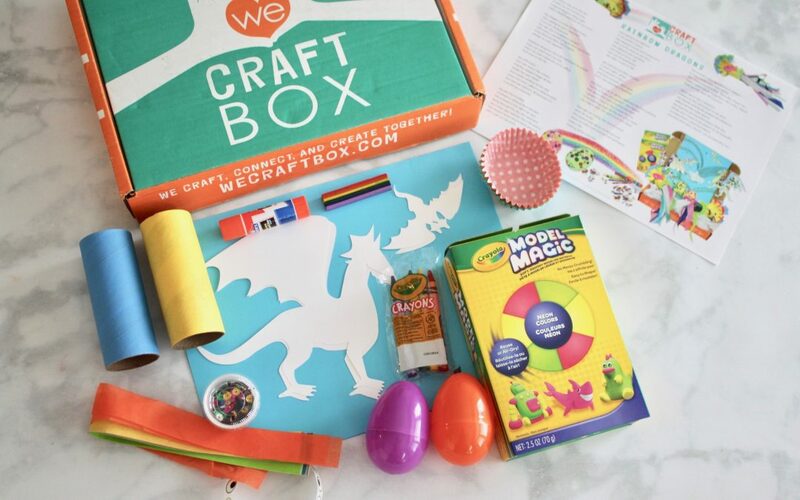 We Craft Box is a monthly kids subscription that sends out 2-3 seasonal crafts for the whole family to enjoy! It is founded by Betsy Wild, a working mom of 2 boys. 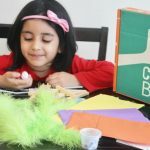 Art is her passion and therefore she decided to make it easier for parents by doing all the legwork and saving time by preparing, planning and shopping for all crafts! 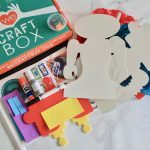 Check out all our We Craft Box reviews here. 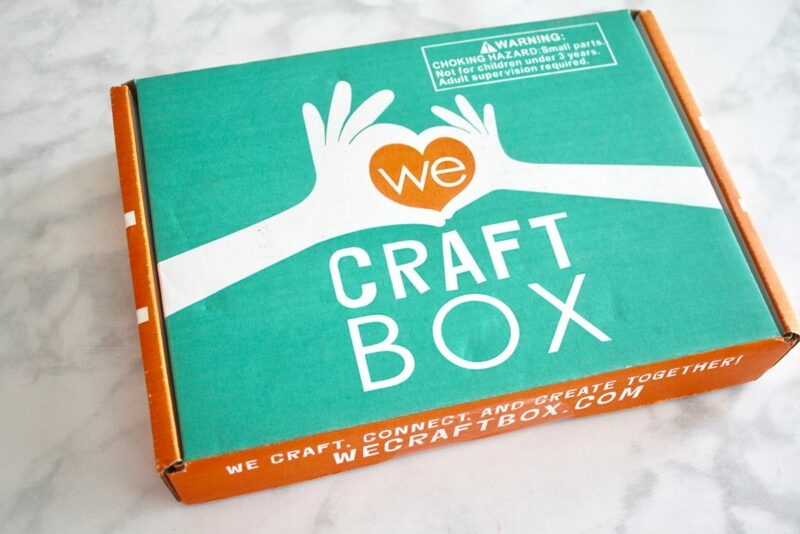 *Disclosure: We Craft Box kindly sent me this box for review purposes. However, all opinions expressed in this post are 100% mine. Post may contain affiliate/referral links. 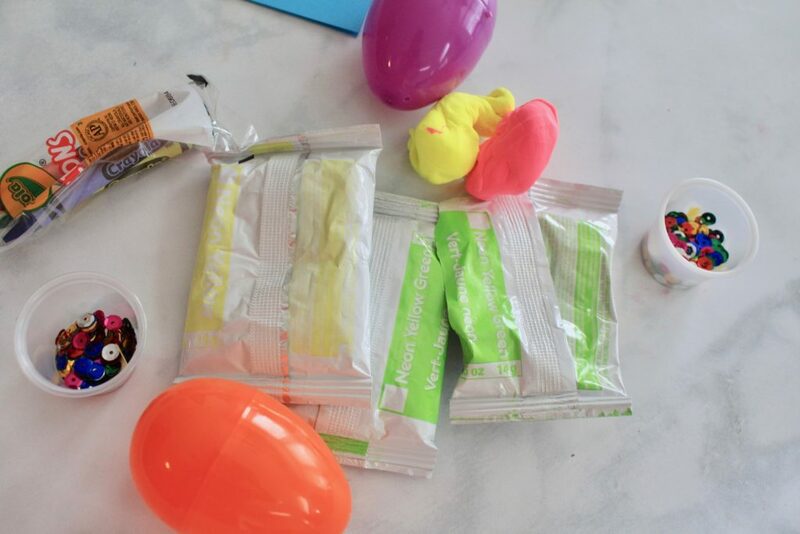 COUPON: Get $5 off your first box with coupon code THISMAMA5 at checkout! *Sign up before the 30th of the month to get the next month’s box. 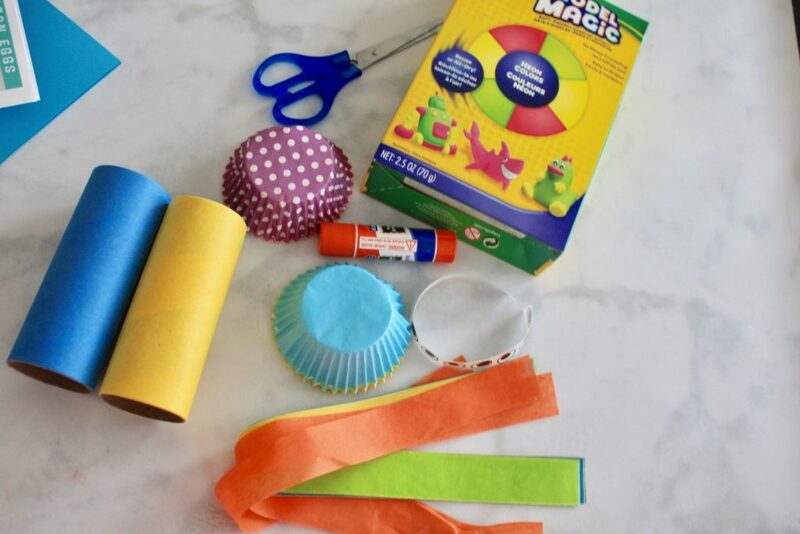 2-3 seasonal crafts with all the materials needed. 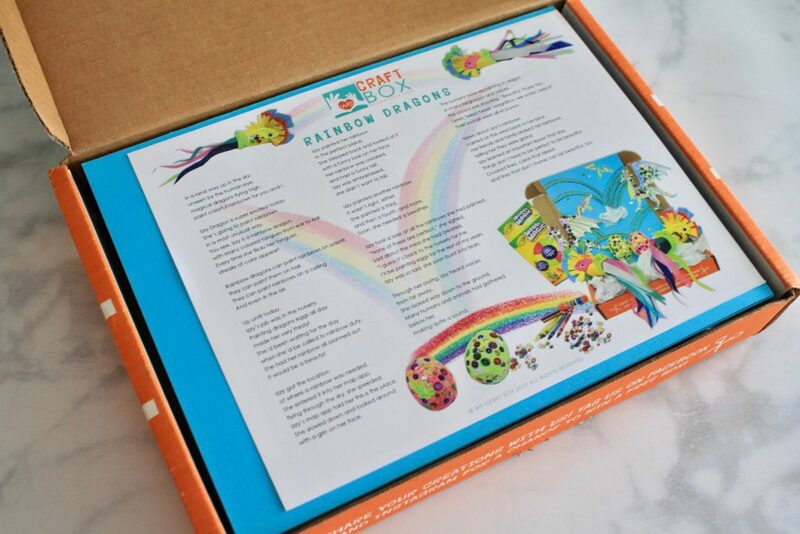 As always, the instruction sheet introduces the contents of the box via an adorable poem or story pertaining to the theme of the month. 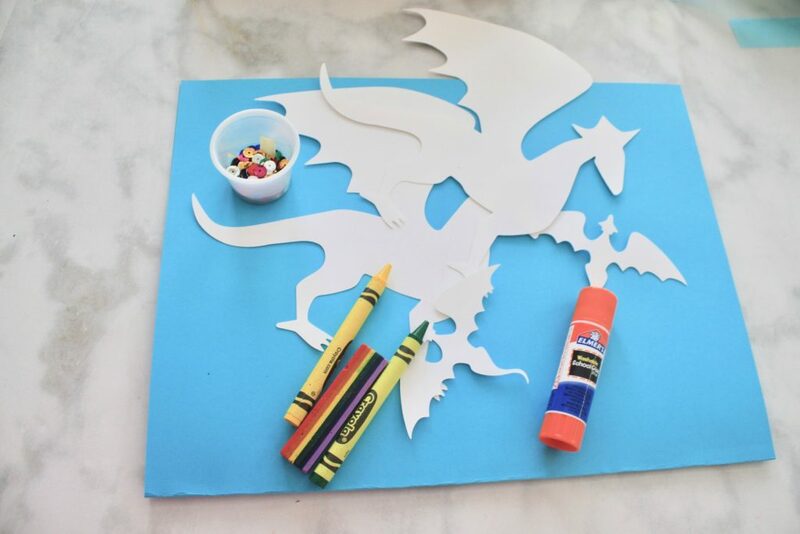 Certainly sets the mood for the kids to embark on a crafty adventure :). 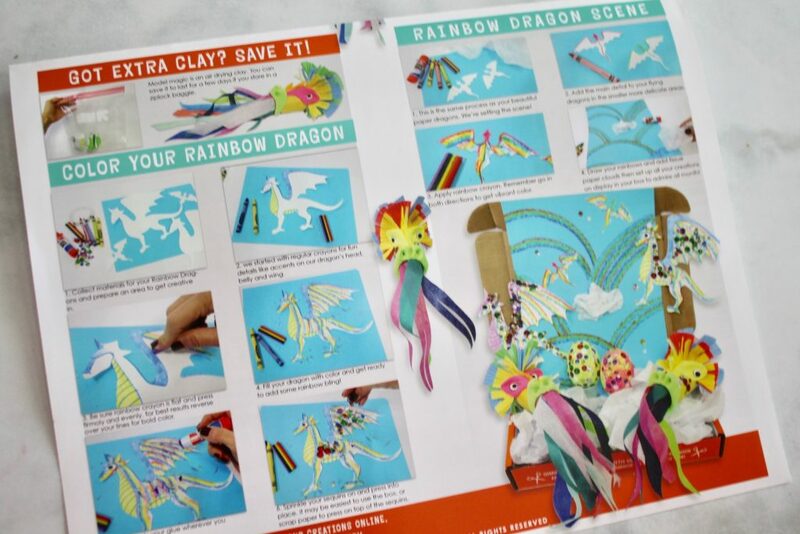 The information sheet is double-sided with step by step images of the projects that will be created. And that certainly makes it very easy to follow the instructions (that are equally detailed!). 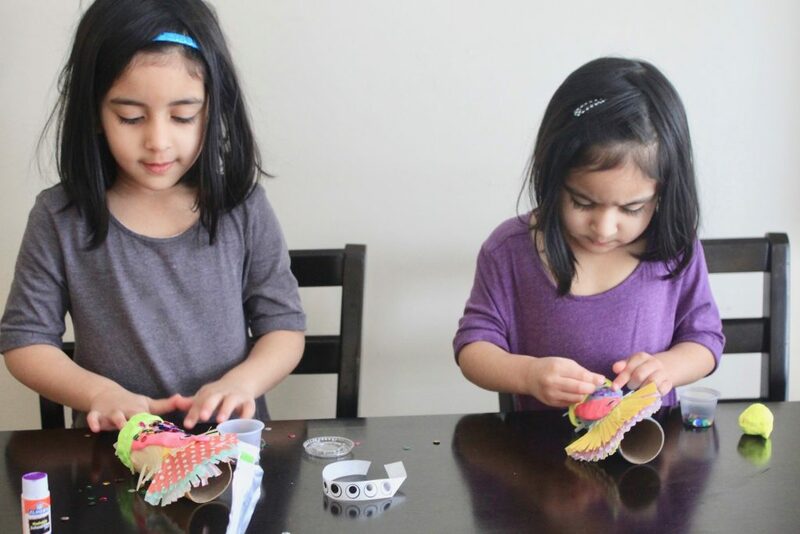 Check out how happily engrossed they are into putting their dragons together. 🙂 Using the tube, we glued the cupcake liners and used model magic to finish off the look of our dragons. The little one could not be more happy with how hers turned out! 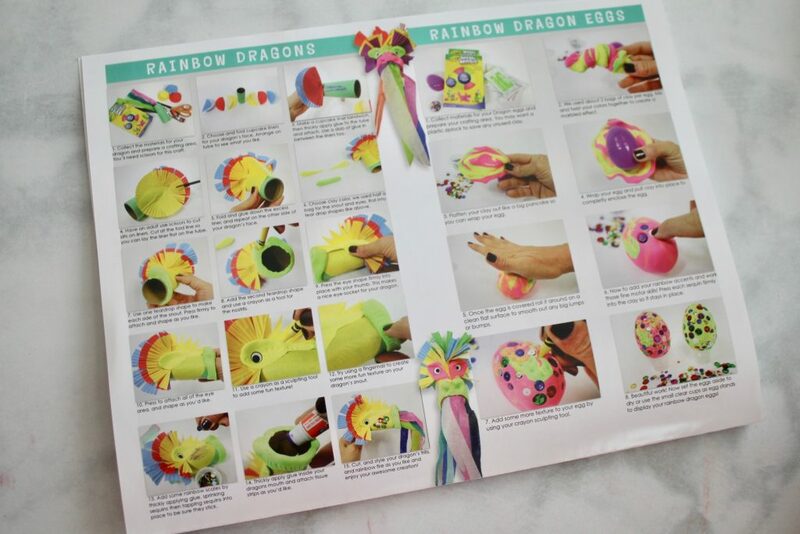 Everything required to make dragon eggs. 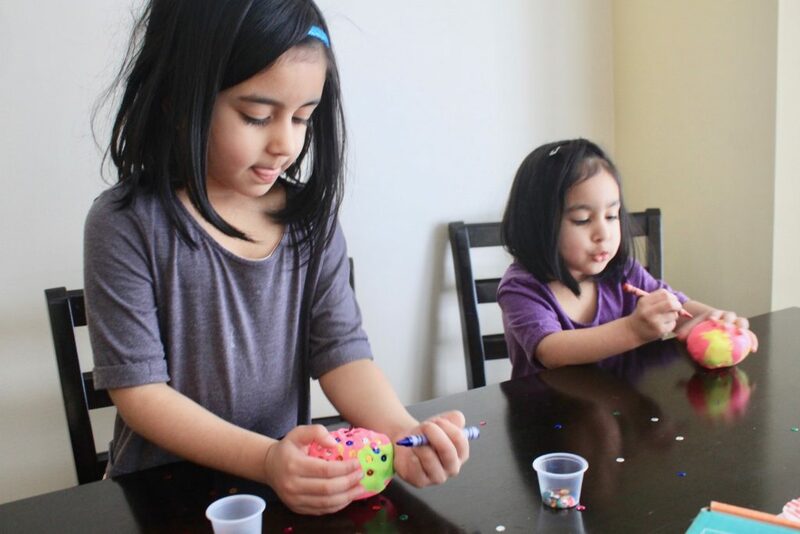 Using the leftover model magic clay – the girls wrapped it around the eggs and decorated it with rainbow sequins. 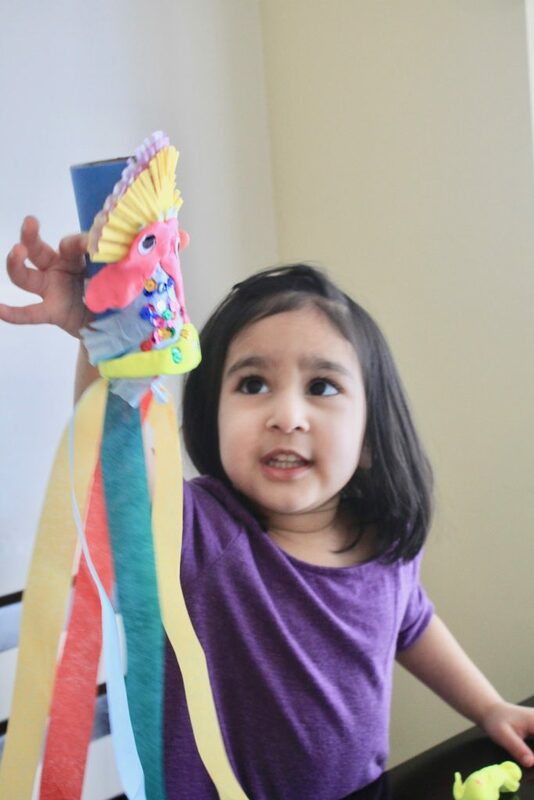 The nexts craft was all about coloring in the dragon cutouts and using the embellishments to further make them look colorful and rainbow-ish! 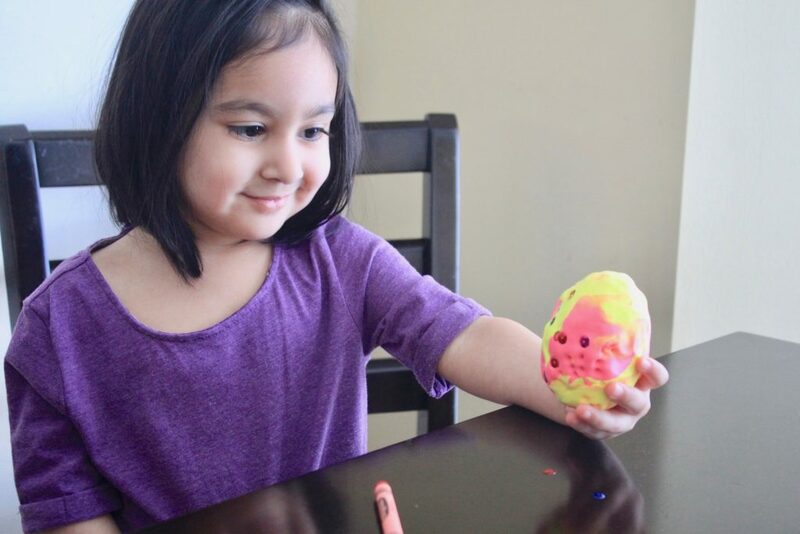 My 4-year-old loved using the rainbow crayon! 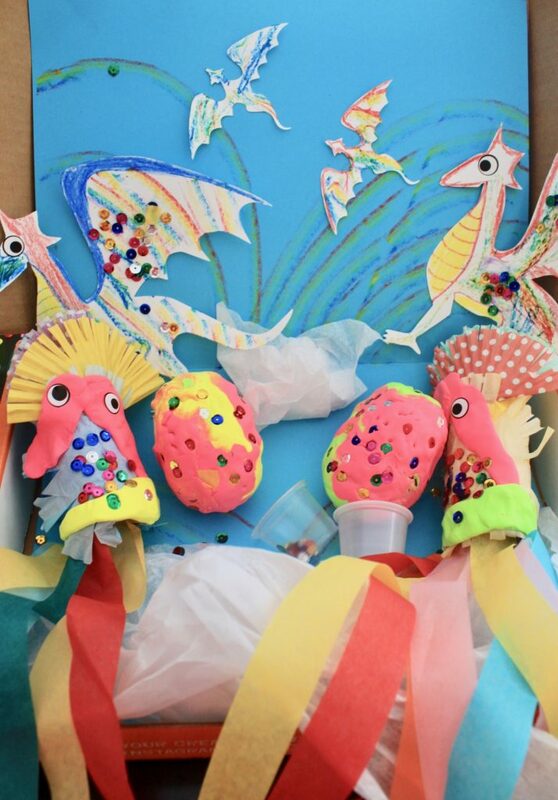 Lastly, we needed to set the scene by adding in the details to the flying dragons, drawing rainbows, adding tissue paper clouds and lastly adding in the rainbow dragons and dragon eggs created in crafts # 1 and 2. 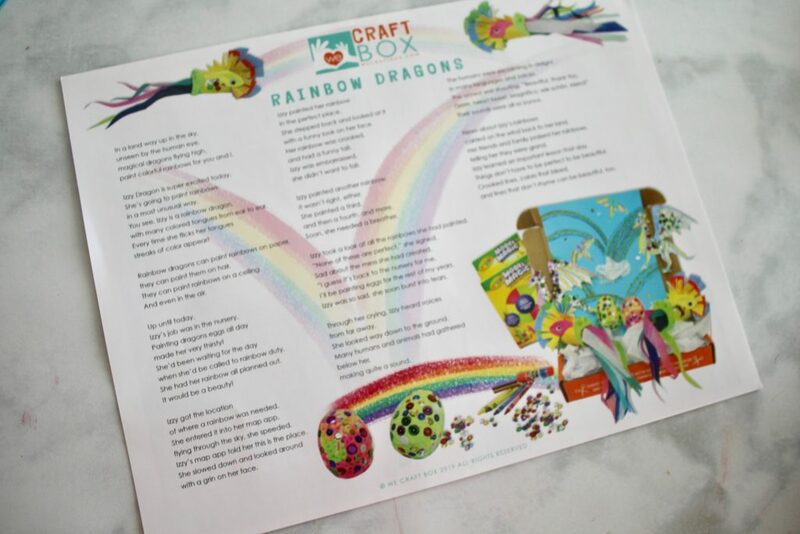 It is always a delight working on such fun & themed crafts put together by We Craft Box! 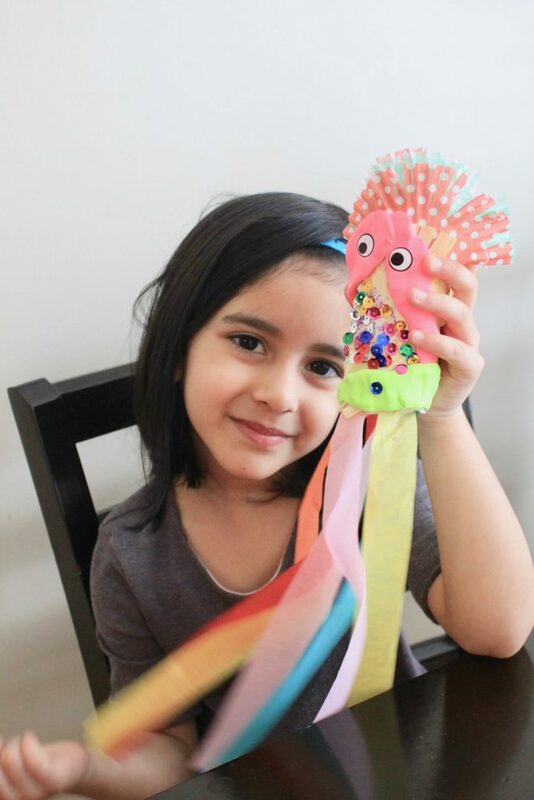 We love that you get everything required to create the crafts and it’s a great way for kids to show-off their creative skills! 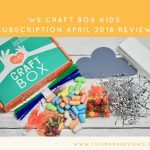 If your kids are into art and crafts, then be sure to check out We Craft Box and don’t forget to get $5.00 off your first box with coupon code THISMAMA5. 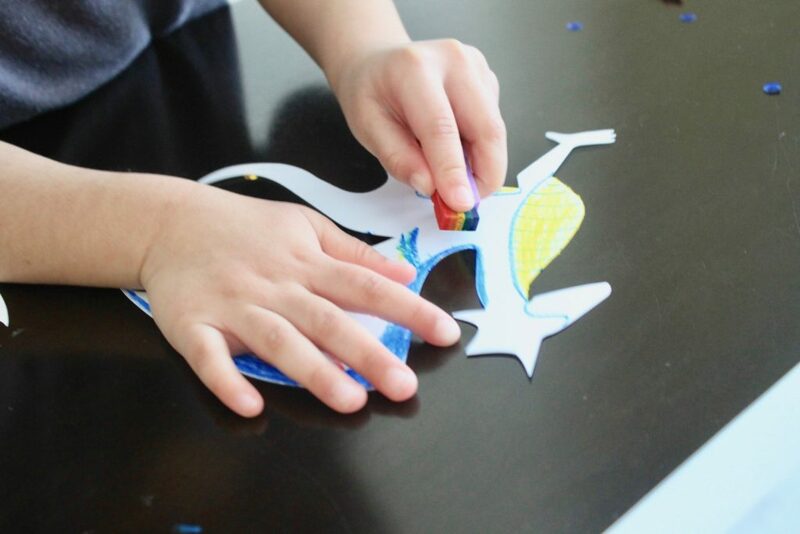 Great way for kids to showcase their creativity! 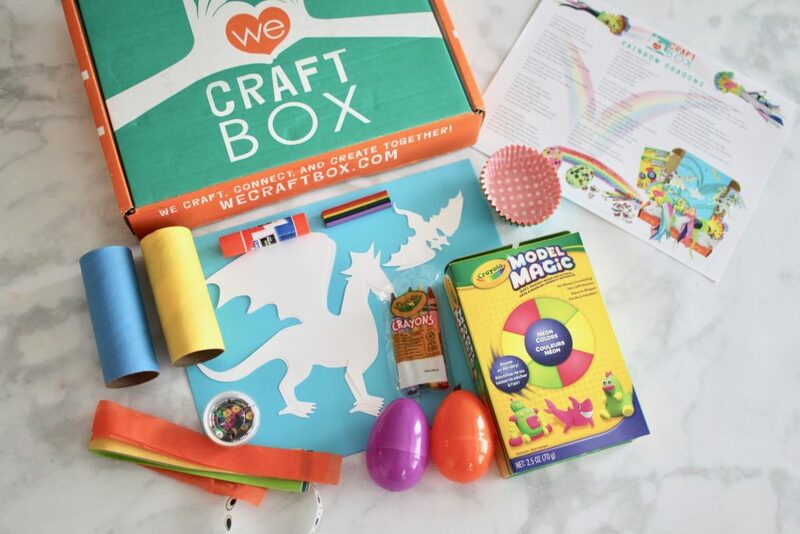 We Craft Box September 2018 Subscription Review + Exclusive Coupon Code! 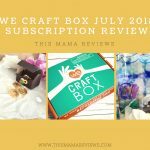 We Craft Box July 2018 Subscription Review + Exclusive Coupon!